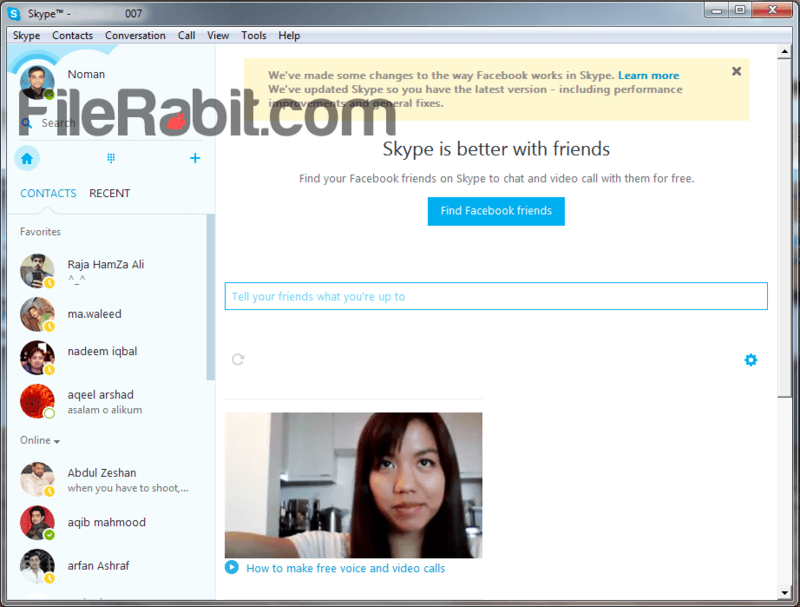 Start enjoying voice calling, video calling, send/receive files and start text messaging with Skype. It is famous VoIP software used to start mobile, skype to skype and landline calling easily. Calling to landline or mobile numbers to any location including international calling is possible with this app. This social media application requires credit before calling to anyone, at anytime and from any device. It’s cross platform application which is available on Microsoft Windows, Mac OS X, Apple iOS, Linus, Android and Nokia devices. You are required a microphone access alongwith audio device to get input from user and give output sound to user. 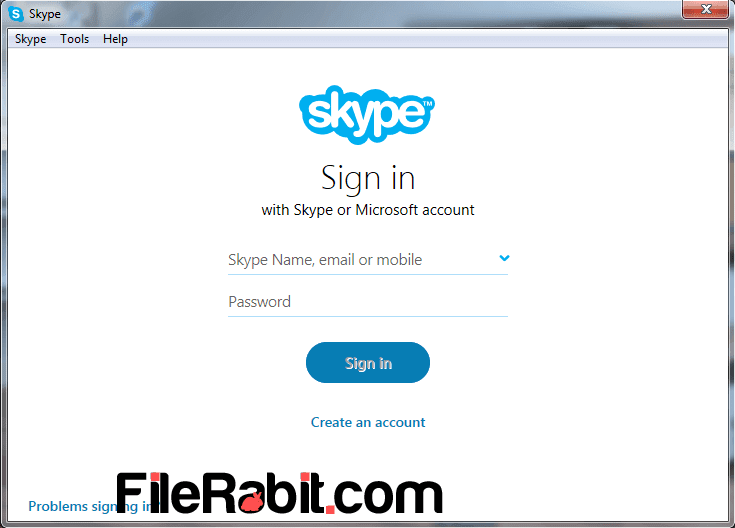 Microsoft account, Skype username or mobile number (registered while sign up) are necessary to sign in. Adding friends, family or colleagues is simpler than ever before. Moreover it supports send images, files and videos to anyone listed in friends. Calling, messaging, screen sharing, profile customizing are most effective features. Now the recent benefits are language translation and group calling. High quality sound without noising it, Skype dominates over Viber, Whatsapp, IMO, Yahoo, Windows Live and other VoIP tools. The call quality will definitely depends on internet speed and connection type but it works perfectly on broadband connection. Weak signals over 3G, 4G and LTE should interrupt call so check signal strength before dialing anyone. The basics of voice calling software are famous for every computer and mobile user but few of them are thinking that its only a messenger. Moreover the advance features let the professional users to take business meeting and offer a presentation on a big wide screen with via group calling. 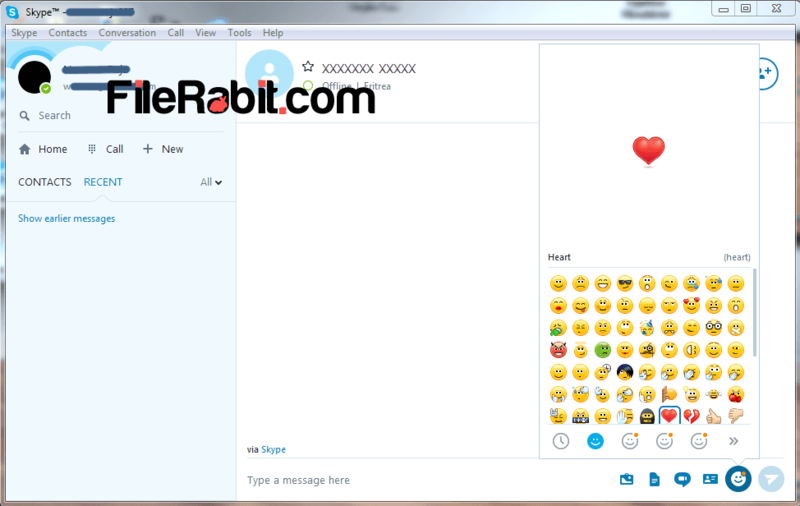 Voice / Video Calling: Make Skype to Skype call, Skype to mobile and Skype to landline numbers with simple and efficient method. Both voice and video calling are so simple because it only needs push the call button. Send IM / Files: Sending instant messaging including images, videos and other computer files to target persons. The attachment hosting time may depends on user network connection and speed. No need of email, just send office files and documents to friends and also save time. Group Calling: Video/voice calling to multiple persons is the professional function of Skype which is not available in any other VoIP application. TeamViewer was used in classic times to host meetings but now Skype leads the market because it give more features than TV. Host a business meeting and offer your skills inside presentation from anywhere at anytime. Effective Call Quality: The call quality is necessary for calling because noise based unclean sound should disturb user. The caller will get tired if a service not gives clean and perfect call quality. It has 100% perfect sound quality with 0% noise & disturbance in both voice and group calling.